Version 1.0 of the Open Contracting Data Standard (OCDS) was launched in November 2014. Over the last 18 months countries, cities and civil society groups across the world have worked on adopting OCDS, and as a community we’ve been learning even more about the kinds of structured disclosures of information that can increase understanding and engagement around the whole contracting process. OCDS is an open standard, which means it is open to periodic update and revision through an open governance process. 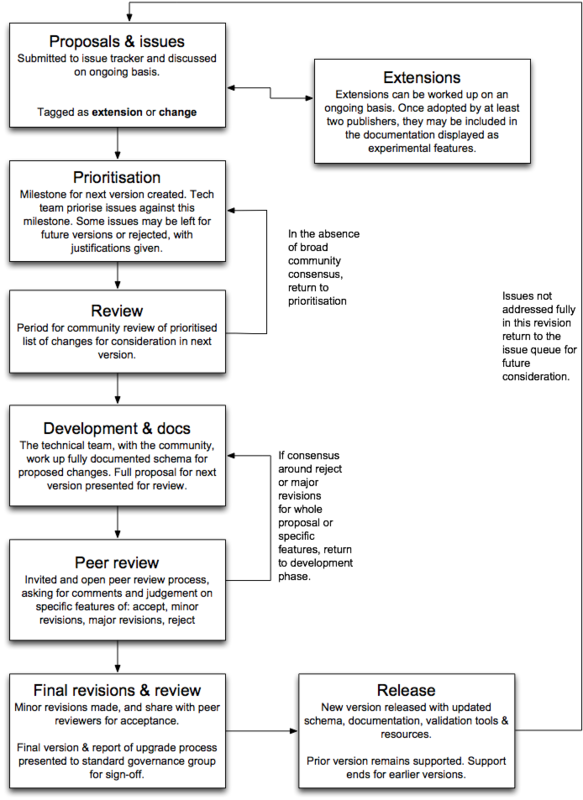 The governance document here (and summarised in the image below) describes the process to be used for the upgrade from version 1.0 to 1.1. We manage the upgrade process through a GitHub issue tracker. 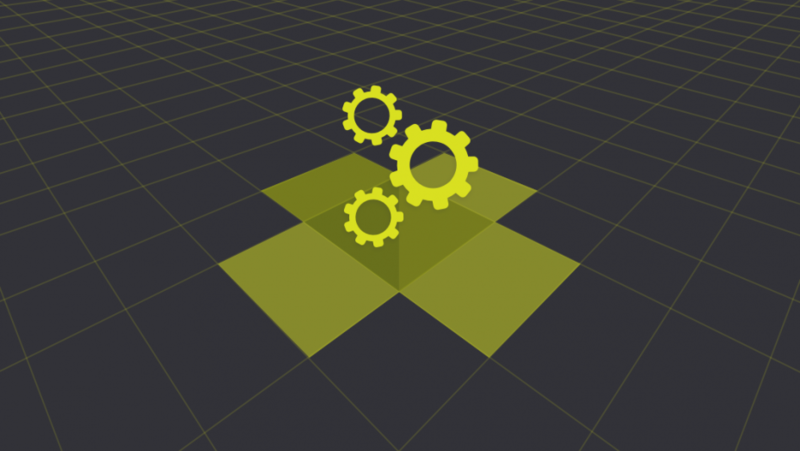 This works similar to a forum where there are discussion threads for particular topics. It is free to create a GitHub account and participate, and you can then subscribe to ‘Watch’ for new issues, and can respond to issues via e-mail. To start the 1.1 process, as of today 17th June we are announcing an upcoming cut-off date for new proposals of Wednesday 6th July. This means that if you want to guarantee that a substantive issue is addressed in this upgrade process, you should create an issue for it before that date. After 6th July we will produce a prioritised list of topics for the 1.1 upgrade, and will share this for a period of community review. You can check if your issue is already being addressed by searching the issue list. Over the last few weeks we have reviewed over 100 existing issues, to identify key themes emerging. If you think an issue is particularly important, or you have insights to add, please do add a comment to the relevant discussion thread. You can also use the reactions button in GitHub to add your support to a proposal (+1), or to reject an idea (-1). We have clustered those issues we have currently in the tracker with a clear thematic focus as below. Each line links to associated GitHub issues where the current problems and proposals can be discussed. These clusters will be reviewed at the prioritisation stage after 1st July. With delivery of the 1.1 version of OCDS by the end of 2016. No plans have yet been made for the 1.2 upgrade process, and any such process would respond to community demand, but would be very unlikely to take place earlier than Q3 2017. Open Contracting Data Standard: how can we improve the documentation?